He first released his debut album under TVT Records and has since then received fame worldwide. His fourth album included breakthrough hit single ‘I Know You Want Me’ which peaked at number two on the US Billboard Hot 100. So I’ve had a look and a listen and compiled some of the best Pitbull quotes. Feel free to share the list using the social buttons above if you know anyone else who is a big Pitbull fan. Thanks for viewing this collection of the best Pitbull quotes! Don’t forget to share them on social media with your friends and family. 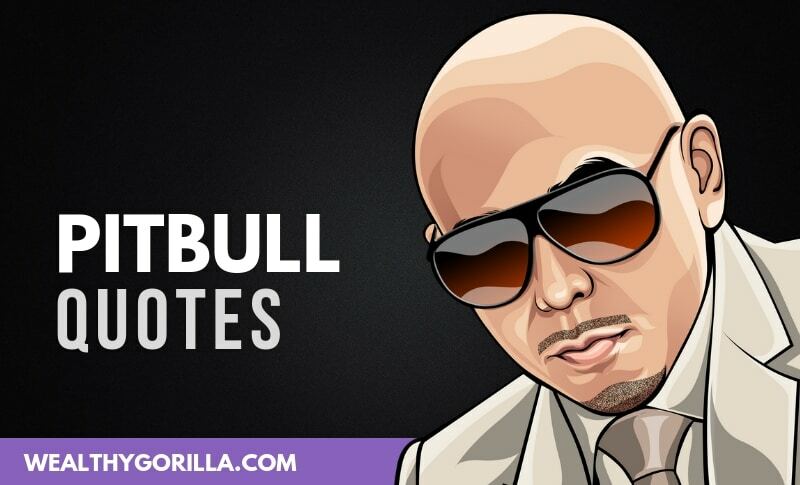 Which are your favorite Pitbull quotes? Leave a comment below.